Natural beauty, outdoor recreation, charming towns, unique attractions and shopping. Our four distinct seasons offer activities year-round with a variety of lodging and dining options. We are conveniently located to major international gateways such as New York City, Philadelphia, Boston, Baltimore and Washington DC, which makes the Pocono Mountains a perfect addition to your trip. 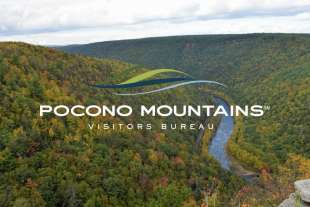 Whether you are an individual, family or group, we invite you to explore the Pocono Mountains. Touring for research, education or pleasure, let us help map out your route. Trip planning assistance, itineraries and overnight packages are available. Independent International Travelers and International Group Rates may be available. Contact Ann Pilcher to learn more.